Fly Free* Earlybird Offers: Book by 31 December 2018 for the Best 2019-2020 Deals – *Conditions apply. Evergreen Tours invites you to join it on a journey to its new and exciting destination of South East Asia; a colourful and exotic land that will open your senses and fill you with wonder. 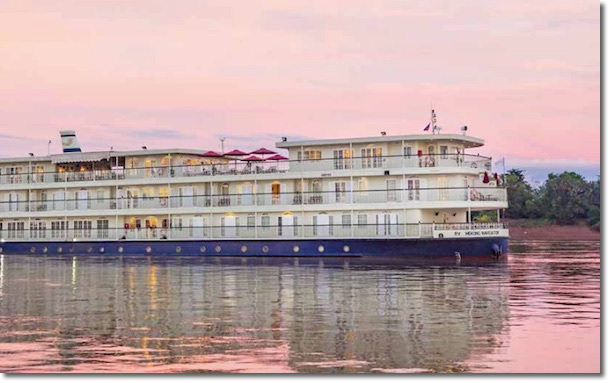 With exclusive charters on board one of Asia's newest and most luxurious ships, the Mekong Navigator, Evergreen Tours brings you the best of these magnificent countries in the style and comfort that Evergreen Tours is renowned for. South East Asia is a rich and vibrant region full of beautiful landscapes, lively people, superb food, deep culture and poignant history. Evergreen Tours will ensure you not only experience the highlights of this incredible destination but also meet the people and uncover some of the hidden wonders that make this place so special. Take in picturesque Halong Bay on board a traditional junk, learn about the Imperial capital of Hue, meet the locals and relax in Hoi An, cruise in comfort along the Mekong River getting to know the nuances of river life, and soak up the magnificence of one of the most incredible set of ruins in the world, Angkor Wat. With Evergreen Tours, you can experience all the must-see attractions, destinations and scenery you expect, as well as breath-taking sights you never knew existed. Evergreen Tours' team of local experts will proudly show you the best that South East Asia has to offer. Its friendly Tour and Cruise Directors, Coach Drivers, Local Guides and Cruise Ship crew do more than just their job, they go out of their way to ensure you're totally satisfied with every sightseeing experience and excursion. You will gain a unique perspective into world famous icons as well as some of South East Asia's magnificent regions. While Evergreen Tours' itineraries are comprehensive, you will also appreciate freedom for personal discoveries in your own time. In this brochure you will find a combination of the very best and most affordable river cruising and touring programs including superb sightseeing, quality meals and excellent service. Being established for 35 years, Evergreen Tours is expert in touring and cruising and has developed carefully handcrafted itineraries to deliver the right balance of must-see sights, cultural interaction, local insights, culinary delights as well as uncovering some of South East Asia's best kept secrets. Discover for yourself why Evergreen Tours is the relaxing and convenient way to explore spectacular South East Asia. People who ordered Southeast Asia River Cruising & Tours also ordered the free travel brochures below. Click on the images to find out more about these brochures.